In case you were wondering, we believe that the trial was called the Sidcup Sixty from the days of old when the bikes were road legal and went between sections on road, and you guessed it, the route was 60 miles long. However, there is nobody in the Sidcup Club left from the 1930's and the Committee Meeting minutes books, Club Magazines of the day and programme for the first event do not give any explanation for the name! Very frustrating! 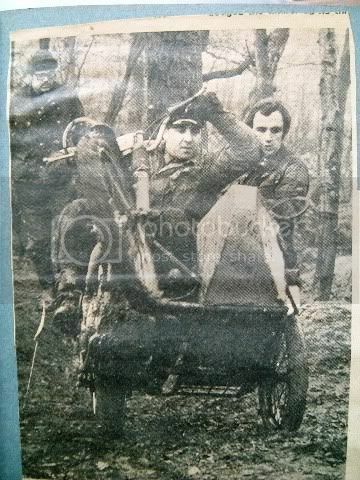 34th Sidcup Sixty - 1971 - Mike Cameron & Jonny Bainbridge on a Norton 500 T, photo from Motor Cycle News.